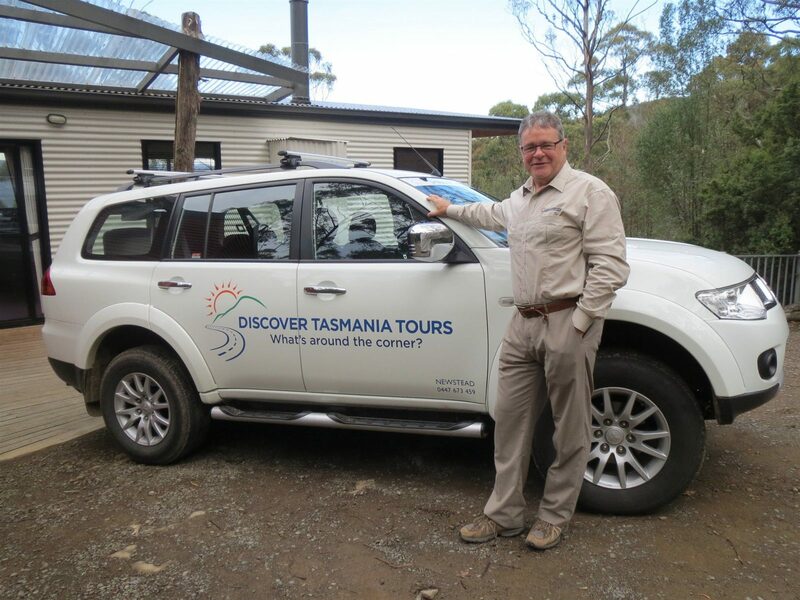 Enjoy your Tasmanian holiday with a friend from Discover Tasmania Tours. 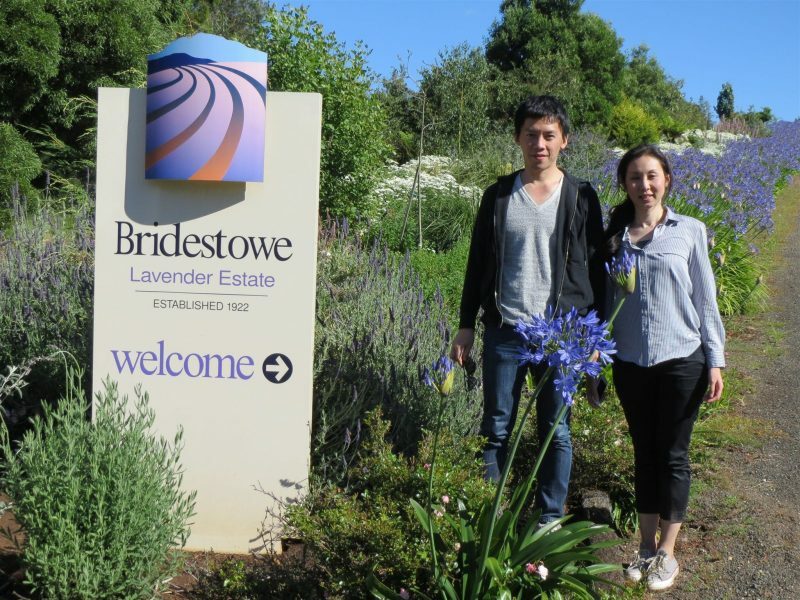 When you visit Tasmania and are looking for things to do in Launceston, let Discover Tasmania Tours take you exploring. 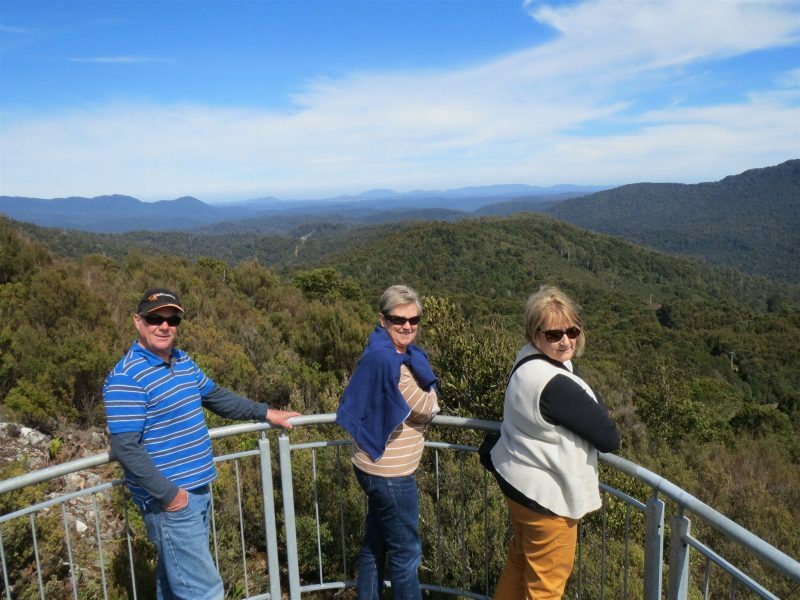 You can mix and match a range of Launceston based tours to suit your time and budget or choose a private charter tour for one to four passengers in a modern four wheel drive vehicle. Launceston in Northern Tasmania is a great place to base yourself whilst on holiday and it is known for its range of intriguing streetscapes, colonial and heritage estates and premier cool-climate wines. 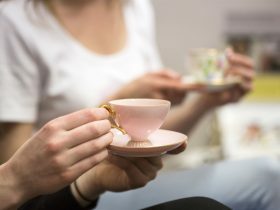 Consider choosing to stay in some great boutique accommodation and enjoy a great Tasmania holiday package based in Launceston. Within a few hours drive from Launceston you can see stunning wildlife, scenic national parks, colonial estates, national trust sites, amazing art and hydro electric power stations. Some of Tasmania’s most visited cave systems are located at the Mole Creek Karst National Park and includes Marakoopa Cave and King Solomons Cave, two of over 300 known caves and sinkholes in the area. Marakoopa Cave features two underground streams, a large display of glow-worms, large caverns, rim pools, reflections and shawl and flowstone features. King Solomons Cave is a richly decorated limestone cave and is a compact cave system with elaborate geological formations, including stunning calcite crystals known as King Solomon’s Diamonds. The Cave has high scientific and conservation significance and is home to a number of threatened plant and animal species. Moderate fitness is needed for any cave tour that includes some stair climbing. The Great Western Tiers are always changing and form a backdrop to some of Tasmania’s most beautiful towns. Here you can find internationally known chocolates, raspberries and cheeses along with city and landscape murals along with creative street sculptures. We can visit the House of Anvers chocolate factory at Latrobe, Ashgrove Cheeses at Elizabeth Town and Christmas Hills Raspberry Farm and wander around the river and sculptures that can be found in Deloraine. St Helens on the East Coast of Tasmania is the gateway to Binalong Bay and the Bay of Fires that in 2009, won the Lonely Planets’ Blues List travel destination. Great ocean beaches and safe swimming sea pools make it a great destination for summer swimming and walking in any season. It is a region filled with orange lichen-covered granite rocks and pristine white beaches and abundant bird life. Trevallyn Hydro Electric Power Station is located five minutes from the heart of Launceston and was commissioned in 1955. It houses four generators of 25MW capacity and supplies around 4% of Tasmania’s installed generating capacity​. We view the tailrace where the water exits the power station then enter the power station to view the different levels and explain how electricity is generated. We meet adjacent to the Power Station at the Tailrace Park car park, directly opposite the power station entrance in Elouera St. The East Coast of Tasmania is blessed with Coles Bay which is the gateway to the Freycinet National Park where you can find Wineglass Bay, a magnificent crescent shaped bay with fine white beach sand that squeaks as you walk on it. There is a magnificent lookout over the bay that requires a moderate level of fitness and takes around two hours to the top and back to the car park. There is plenty of fresh seafood available to match some of the East Coast’s fine white wines. The Tamar Valley is the oldest wine region within Tasmania and many of the vineyards operate a cellar door where you can taste and purchase selected wines. Don’t be surprised to find some great and award winning Pinot Noir, Riesling, Chardonnay, Sauvignon Blanc, Cabernet Sauvignon and other varieties available to delight your tastebuds. Tasmania’s wine growing regions are said to be similar to the climates of some well know European regions showcasing cool climate varieties. Be surprised, pleasantly surprised by the hospitality and wealth of knowledge held by the winemakers and their staff. Visit the operational Trevallyn power station and Duck Reach power station museum right in the heart of Launceston. Trevallyn Power Station is located only five kilometres from the centre of Launceston and was commissioned in 1955. Trevallyn is a run-of-river station making use of daily flows down the South Esk River and generates around 100 MW of power. Duck Reach Power Station was the first publicly owned hydro-electric plant in the Southern Hemisphere, and provided the Tasmanian city of Launceston with hydro-electric power from its construction in 1895 to its closure in 1955. The Tasmanian icon of Cradle Mountain is one of the most exciting wilderness areas in the world and listed as a World Heritage area. Dove Lake rests peacefully at the foot of the mountain and hosts a wonderful walking track suitable for all ages and levels of fitness around the perimeter of the lake. 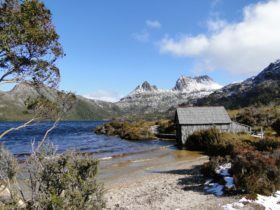 The walking track takes around two hours to circumnavigate and is the starting place for the Overland Track where you can walk for some 65 kilometres before reaching Lake St Clair the deepest freshwater lake in Australia. Launceston is Tasmania’s second largest city and a vibrant hub for food and wine, culture and nature. The whole region is packed with city and country charm, gorgeous old towns, excellent food and wine and beautiful scenic highlights. Launceston has one of the best-preserved early cityscapes in Australia with its elegant Colonial and Victorian architecture and century-old parks. Just a short walk from the city centre, Cataract Gorge is a slice of wilderness right in the heart of town and Launceston’s star natural attraction. 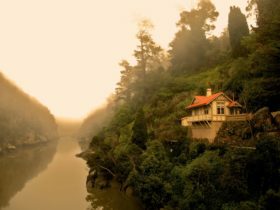 The seductive Tamar River meanders for around 70 km through the fertile Tamar Valley with vineyards, orchards, pastures and forests, from the boutique-chic regional city of Launceston, and then north to the turquoise sea of Bass Strait. Fall in love with the Tamar Valley’s easy charm and quaint accommodation. From sweeping views of rolling hills to the crisp white sands of the Bass Strait, the Tamar Valley is a voyage of modern indulgence and discovery of glorious history. There are some amazing colonial properties in the north of Tasmania and all within hours of each other. Tasmania tells a thousand stories of convicts, farmers, bushrangers, writers and painters. Land cleared by Aboriginal people then settled by European farmers today features Georgian villages and gracious homesteads. There is a great incentive to stop and wander their quiet streets at your own pace, browsing among arts, crafts and antiques, savouring the aroma of freshly baked country bread and the sounds of rural life. There are a number of stately homes once owned by the landed gentry, beautifully preserved and now open to the public. It was in the 19th century that penal settlements supported by the labour, produce and enterprise of free settlers that allowed these communities to develop and endure over time. 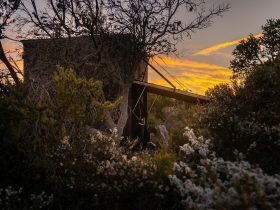 Visit the famous Launceston Cataract Gorge and learn about the history of the Cataract Gorge and wander amongst the native wildlife as they come out at night. We can view the animals on hand-held tablets with video streaming live from an infra-red camera. 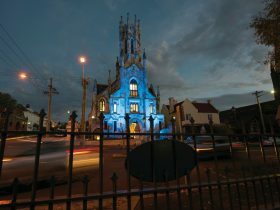 The two hour tour is designed to educate visitors about the history of Launceston and who wish to observe a selection of the nocturnal animals in their own environment.